Introducing ‘Red Frost’ by Arroworthy, an American Manufacturer who have been around since 1962… I’ve currently got two variations on trial; the 2030 (Beavertail Varnish) and the long handled 2016 (Square End Flat Sash). Red Frost brushes house HG (TM) Solid Round Tapered Polyester/Nylon filaments. 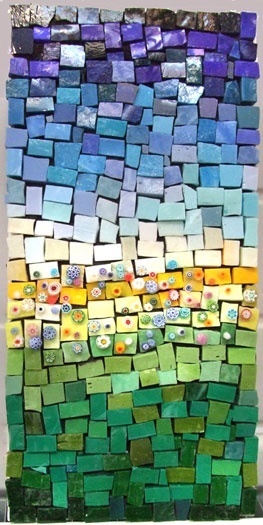 There has been quite a lot of interest around the brushes of late – I’m only too happy to add to this!. 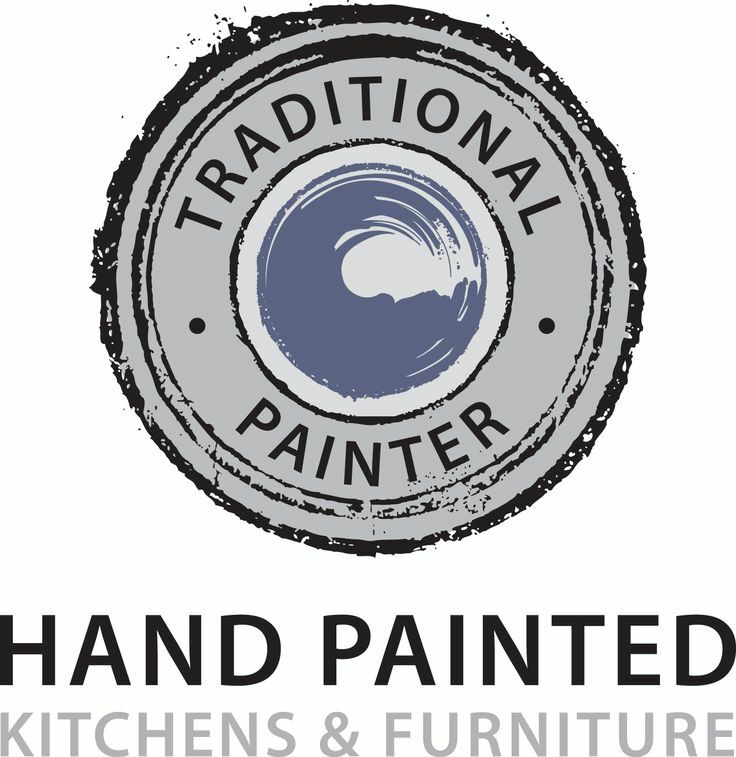 The majority of my output is Hand Painted Furniture and Kitchens – of late I’ve been mainly looking at refurbishment work and have been painting Oak and Pine kitchens… because of this, I’ve been predominately using Zinsser BIN and Pegaprim Isofix; both Shellac based primers that are notoriously ‘hard’ on brushes. So, how did they drive??? Both 2016 and 2030 tackled and handled everything that I and the Shellac Paint could throw at it… these are seriously tough brushes. At the end of a long day priming the Red Frosts were unblemished and held together incredibly well. The weighing of the brushes is extremely comfortable – these brushes are built; the handles are well made and the ferrules are actually finished off (unheard of lately!!! IMHO). Loading of both brushes was great, flow out was superb and the cut was crisp, perhaps not Picasso crisp, but, I could happily live with the edge that I achieved. After full cleanup, I then trialled in Tikkurila Feelings Furniture Paint – for the uninitiated, this is a waterborne product that delivers a gorgeous semi-gloss/semi-matt finish. The Red Frost was right at home here… With the waterborne paint I had more time to ‘play’ (the Shellac drys as soon as you look at it and is therefore prone to tearing). Both brush styles were exceptional in this medium… the filament ‘bounce’ was just right for me, although a little firmer than the Corona Cody, I think that a comparison with this ‘icon’ brush could be made. 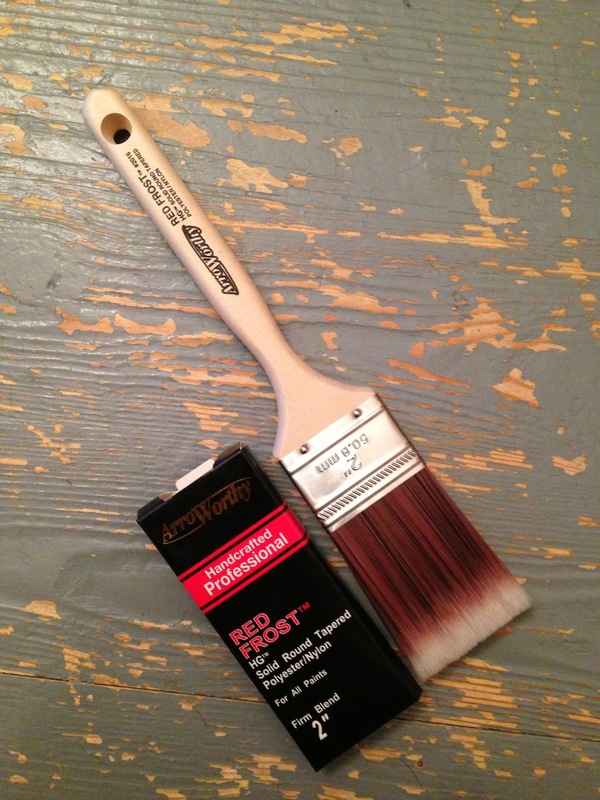 This brush is a great general brush, it truly is happy in all mediums and will serve you well – ok, it’s not a Picasso… but really, only a Picasso is a Picasso, the Red Frost cuts it’s own groove, it’s a Red Frost! I will be interested in seeing it’s price point when it finally hits our shores late June. 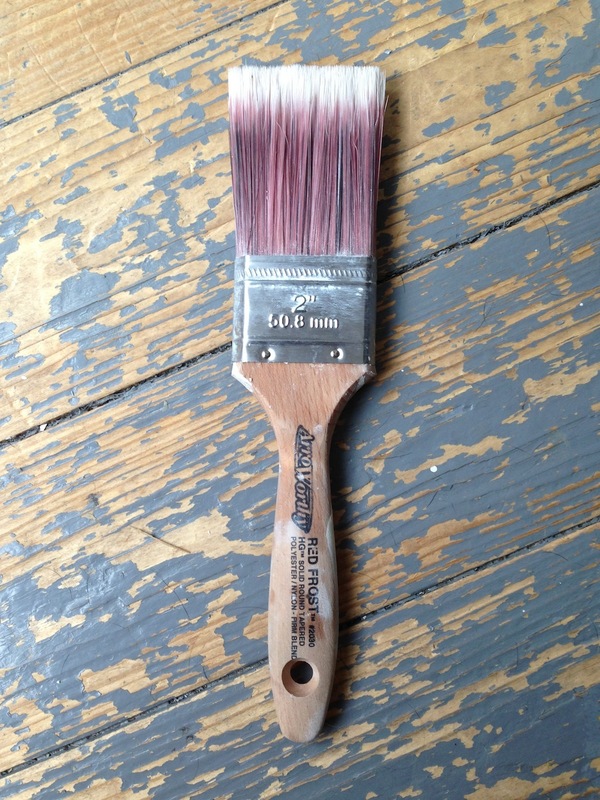 The Red Frost range will be exclusively available at mypaintbrush.co.uk – what an addition to the stable! Do I rate Red Frost? – YES I DO! This entry was posted in Uncategorized and tagged Furniture Painting, Kitchen Painting, Master Painter, Red Frost, Review on May 22, 2013 by mjguestltdblog.